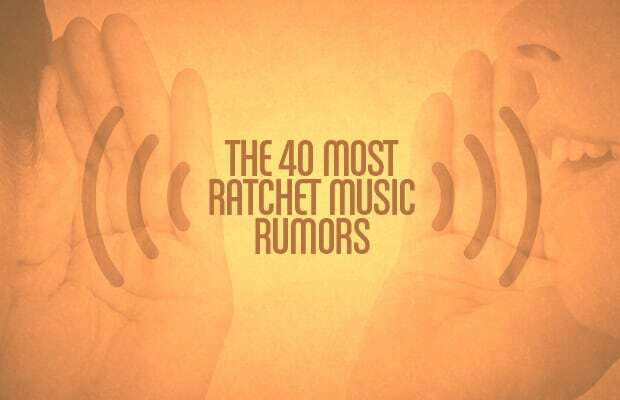 If there’s one thing the Internet can’t get enough of, it’s a ratchet rumor. Even before the 24/7 blogosphere came into existence, tabloid papers and radio talk shows were spreading hearsay everywhere from barber shops to grocery-store checkout lines. But thanks to advances in misinformation technology, what we have now is a nonstop "news” cycle of gossip, innuendo, and half-baked "truthiness." As a public service Complex decided to round up 40 of the craziest, nuttiest, most ratchet-est rumors to ever hit pop music at put them to the test. Did Michael Jackson really cop the Elephant Man’s bones? Did Suge hang Vanilla Ice off a balcony for cold cash? Did Keith Richards snort his father's ashes? Those stories couldn't possibly be true—could they?